Family Violence Prevention Services Inc. will respect the intent of the donor relating to gifts for restricted purposes and those relating to the desire to remain anonymous. With respect to anonymous gifts, our Agency will restrict information about the donor to only those staff members with a need to know. 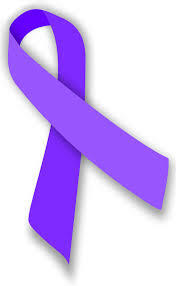 Family Violence Prevention Services Inc. will refrain from providing advice about the tax or other treatment of gifts and will encourage donors to seek guidance from their own professional advisers to assist them in the process of making their donation. Our Agency will provide acknowledgments to donors meeting tax requirements for property received by the charity as a gift. However, except for gifts of cash and publicly traded securities, no value shall be ascribed to any receipt or other form of substantiation of a gift received by Family Violence Prevention Services, Inc.
Want to know what your donation can do? $25 THE GIFT OF PLAY—Provides a toy and a book for a child at the shelter. $50 THE GIFT OF HOPE— Provides warms blankets, linens and towels to families living at the shelter. $100 THE GIFT OF NEW BEGINNINGS—Provides new clothes and shoes to women and children to have a fresh start free from abuse. $150 THE GIFT OF SHELTER FROM THE STORM—Provides emergency services: beds, meals, schooling and transportation for women and children. $250 THE GIFT OF RECOVERY—Provides counseling, medical, dental and legal services to victims of abuse.